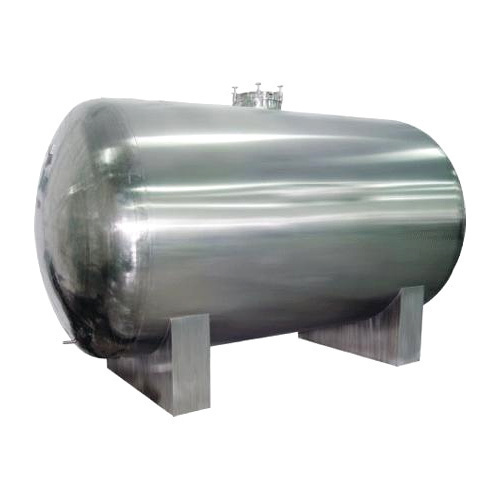 We are a prominent name involved in offering our customers a wide range of Storage Tanks. The offered storage tanks allow the perfect intermingling of different types of powder or even semi-viscous fluids. Blending process takes place in the offered thanks for the continuous process, and no chance of lumping or clogging. These tanks are widely used for confectionery, adhesive, pharmacy and baking products. YSM Biotech International is an emerging engineering company in collaboration with Merx Handel and Industries GmbH Hamburg, Germany and M/s Mantra Makina, Turkey, engaged in Consultancy, Designing, Manufacturing and Export of Dairy, Food, Herbal, Biotechnology and Effluent Treatment Plant and Mechineries on Turn-Key basis. The company is pouring its best in research, production and quality control to widely expand its wings into vast Indian and overseas Market. Our team of professionals supports us as a back bone and help in accomplish all the pre-defined organizational goals. Owing to all these factors, We have garnered a huge client-base all across Indian Subcontinent, East Asia, Middle East and South East Asia markets.